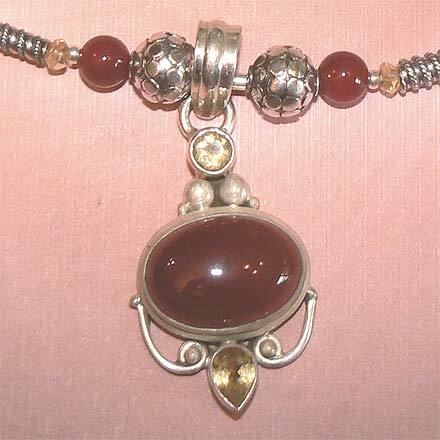 Sterling Silver Carnelian and Citrine Necklace. See Closeup. 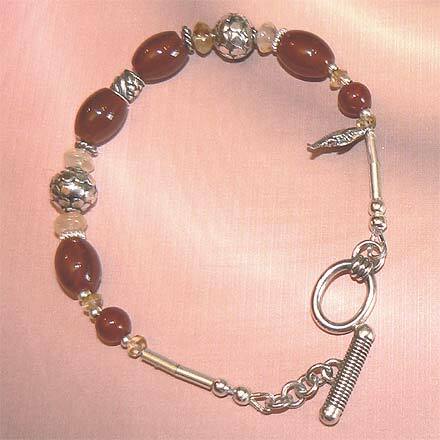 Sterling Silver Carnelian and Citrine Bracelet. 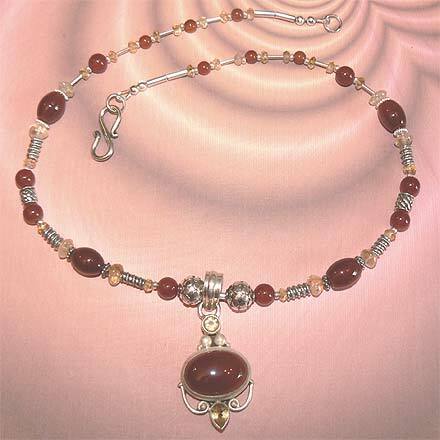 A translucent red hot Carnelian surrounded with the sweetness of Citrine. For those who are interested in Astrological significances of stones, Carnelian corresponds with Taurus and Citrine is November's birthstone.